You’ve probably read the horror stories about those who have fallen victim to investment fraud. Unfortunately this happens to people on a daily basis. If it looks too good to be true, it usually is. We’ve highlighted some of the biggest types of investment fraud to look out for. When it comes to these types of scams you’ll often be offered a free pension review, whereupon you’ll be told you can take cash from your pension. However, if you’re under the age of 55 this is almost certainly a scam. This is a common way investment fraud is committed. Generally you can only withdraw cash from your pension under the age of 55 in the case of extreme circumstance. These include situations such as a terminal illness. Withdrawing before this age could also result in a tax bill of up to 55% as well as other charges. You could even lose all of your money. Those involved in these schemes would see their money transferred from their actual pension scheme into one set up by scammers. Following this, they’ll be ‘loaned’ an amount from what’s been deposited. The company (the scammers) then take a fee, sometimes as high as 30%. This fee won’t include the money you’ve already been taxed. Remaining money is often invested in high-risk projects or just stolen outright. These scams are continuing to rise, particularly here in the UK. These are when an unauthorised forex trading and brokerage firm provide the opportunity to trade contracts. They will trade for difference, binary options, foreign exchange and other products. Those who have been involved in these types of scams will often receive a returns form issued by the firm. They will often claim to be UK-based and FCA authorised. This is done to give the impression that their trading has been successful. At this stage, they’ll be encouraged to invest further. However, it’s at this point or pretty soon after that the returns stop, their account is suspended and they never hear from the firm or see their money again. The two most common ‘get rich quick’ schemes are Pyramid and Ponzi schemes. These schemes promise high returns or dividends through non-traditional investments. Although money can be made from those that invest in the schemes early, later investors often lose their money. This is often due to the scheme collapsing once new investors begin to dry up. This will often result in those that started the scheme keeping much of the money, while leaving investors at a loss. This is when a large area of land is broken down into smaller plots and sold to investors, with the expectation that the value will rocket once it’s available for development. Those targeted are told they can make big profits once the planning permission for the land is granted and development begins. However, this land is often an area of historical interest or natural beauty, meaning the chances of the land being built on is essentially zero to none. Planning permission is often never applied for, which leaves investors with practically worthless plots of land. When it comes to land investment, do your research, as not all land banking schemes are scams. These will usually offer you the chance to buy a plot on a plantation that harvests agricultural commodities. These are sold as low risk with a high return, sometimes as high as 20%. You’ll usually be told that this is a five-year investment, after which your plot will be harvested and the profits will find their way to you. However, many investors are often left out of pocket. These types of scammers will claim they don’t need FCA authorisation, as they’re not a collective investment scheme. Free pension reviews will claim to be FCA authorised, but those offering free reviews via the phone, email or post won’t be. Some will also claim to be working on behalf of the FCA, which is also a lie. The scams themselves are specifically designed to convince you to move your money from your current pension pot into a high-risk scheme. Upon doing this you’ll be promised great returns and sometimes a cash sum from your pension to convince you. 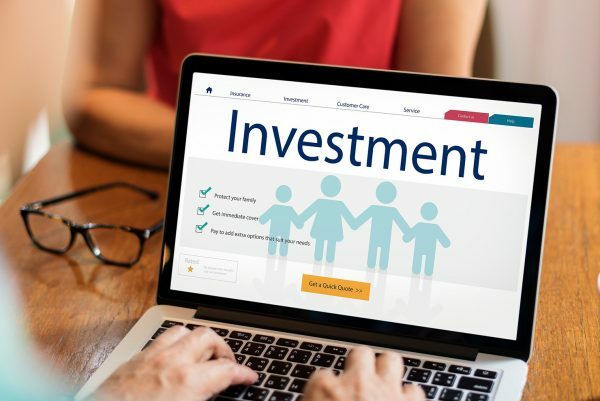 Often promoted as long-term investments it can take several years to notice something is wrong, with some being outright scams and others being poorly managed. If you feel like your investments have been poorly managed, you’ve been subjected to ‘unfair contractual relationships’ or mis-sold a pension investment, get in touch with our experienced legal team today.